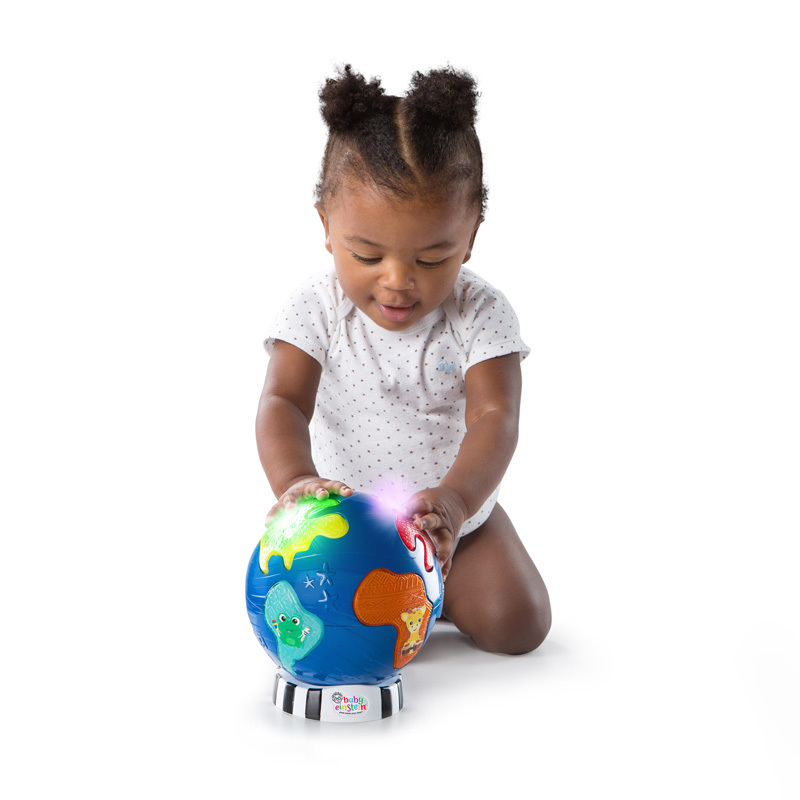 Great minds start little. 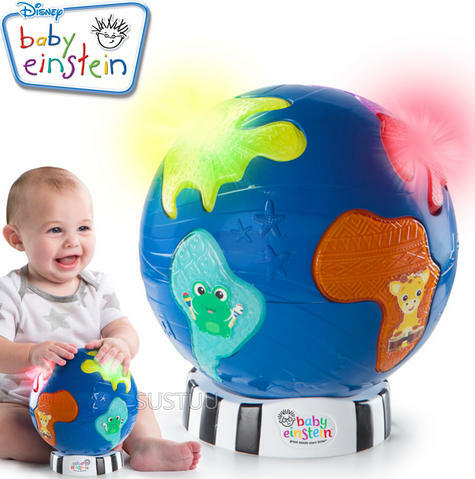 ™ Introduce baby to a world of music while they explore their world with Baby Einstein’s Music Discovery Globe™ from Baby Einstein™! With a flip of a switch baby can interact in play mode. Tap each colorful continent to light them up and play 12 different melodies from around the world. 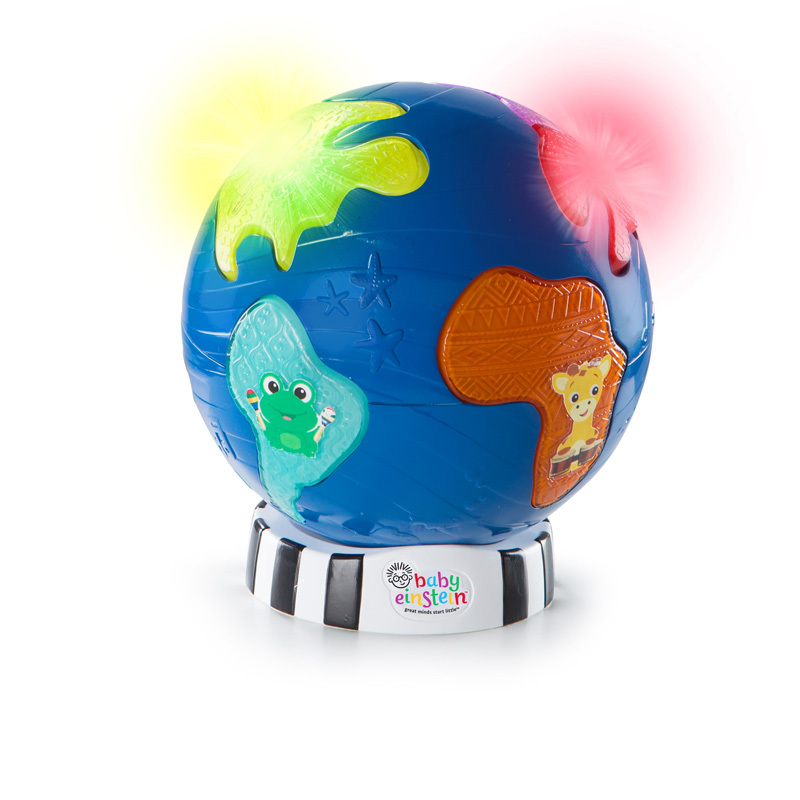 Switch over to light mode and enjoy a soft glowing light show for a soothing experience. 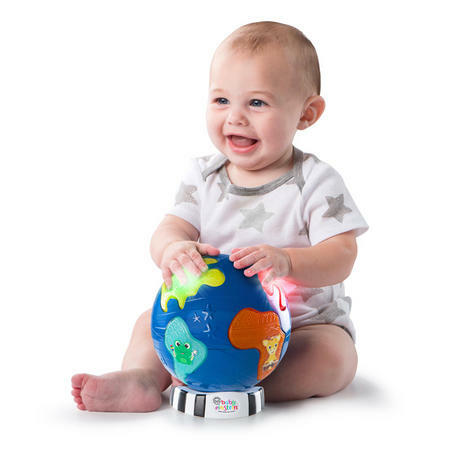 Baby will have the whole world in their hands by simply removing the musical toy from the base. 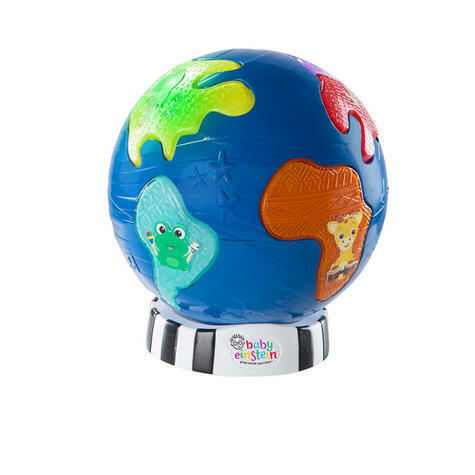 Baby Einstein’s interactive globe toy encourages gross motor skills. 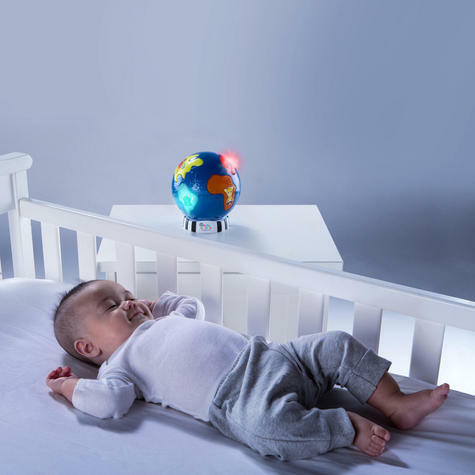 Recommended for babies 6 months and older.